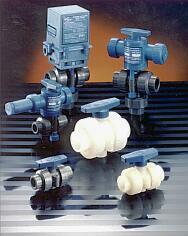 Plumbing - Pipe, Valves, Fittings, More. Big Brand Water Filter is your one stop shop for plumbing supplies. 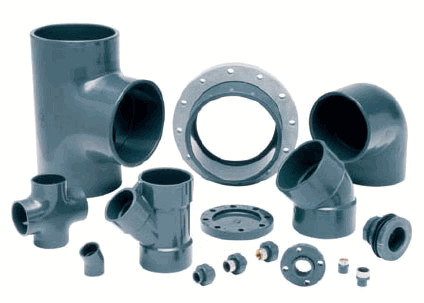 We offer a broad range of plastic piping, valves, fittings, tubing and other plumbing accessories. We offer pressure gauges, stainless steel flex lines to make your installation easier, kitchen faucets and matching water filter faucets, and much more. Bee Valve Inc. traces its origin back a half-a-century to the beginning of the modern plastics industry. The company was on the developmental forefront of plastic ball valves and was one of the first companies to use glass-reinforced polypropylene for this application. The company was also on the leading edge in the development of non-metallic hose couplers and adapters in the early 1970s, utilizing glass-reinforced nylon and polypropylene for economy and strength. Bee Valve continues to focus on providing the industry with state-of-the-art materials and components. When you turn to Bee Valve for your fluid handling needs, you're turning to the market innovator. Please Note: All Bee Valve fitting purchases must be over $50. Purchases under $50 will and can be delayed. 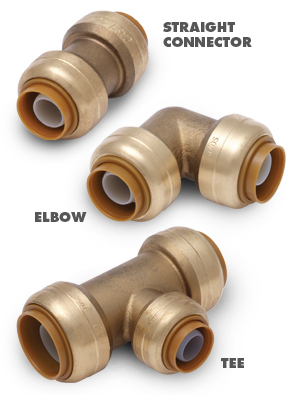 If your fittings order is for expedite shipping (Next Day, 2nd Day or 3rd day delivery) there will be a sales tax charge. Cash Acme offers a broad range of water pressure regulators, pressure reducing valves, back flow preventers and other plumbing related products. All Cash acme products are lead free and meet California Prop 65. Big Brand Water Filter is a factory authorized Mazzei distributor. Mazzei Injectors are high-efficiency, venturi-type, differential pressure injectors with internal mixing vanes. When a sufficient pressure difference exists between the inlet and outlet ports of the injector, a vacuum is created inside the injector body, which initiates suction of a liquid or gas through the suction port. When pressurized water enters the injector inlet, it is constricted toward the injection chamber and changes into a high-velocity jet stream. The increase in velocity through the injection chamber results in a decrease in pressure, thereby enabling an additive material to be drawn through the suction port and entrained into the water stream. As the jet stream is diffused toward the injector outlet, its velocity is reduced and it is reconverted into pressure energy (but at a pressure lower than injector inlet pressure). Please view the Injector Performance Table to select your injector. Need high purity tubing and piping systems? You have come to the right place! Big Brand Water Filter has you covered with a broad range of high purity tube and pipe in both plastics such as teflon, PFA, Kynar, PVDF, polypropylene and more. Need a metallic piping system? We have a great selection of stainless steel including 304, 316, 2205 duplex and more! We are proud to sell Plastomatic Pressure Regulators, Pressure Relief Valves, Air Release Valves, Ball Valves, Shutoff Valves, and Solenoid Valves. 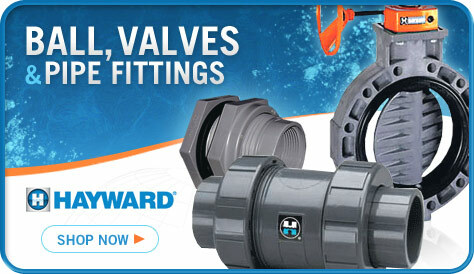 Plastomatic Valves strives to continually advance the technology of liquid pressure and flow control. As the quality leader in the development of plastic valves and controls for corrosive and ultra-pure liquids, Plast-O-Matic provides a complete line of standard and custom designed solutions for difficult applications. We are committed to product innovation, engineering excellence, precision manufacturing, 100% quality testing, and hands-on technical assistance.  Plastic valves and actuators designed for semiconductor fabrication, pharmaceutical processes, dialysis (sodium bicarbonate), battery filling, chemical injection, metal finishing, food & beverage, printed circuit board fabrication...virtually any demanding liquid process. 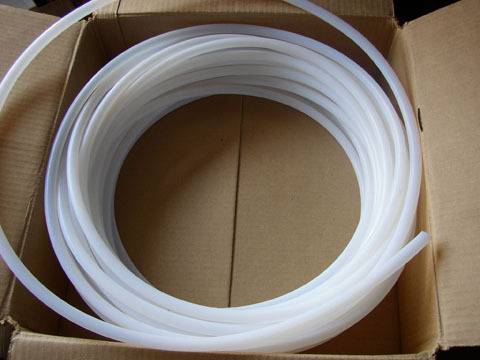 We are proud to sell Spears PVC, CPVC, LXT, and Polypropylene fittings. 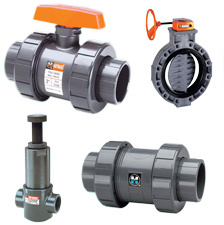 Spears broad product line offers a complete selection of 1/8" through 12" injection molded fittings and fabricated fittings through 48", many specialty products, and a full complement of manual and mechanically actuated thermoplastic valves in a variety of types, sizes, and configurations. Plus, Spears offers the very best in custom configuration services for special applications including custom fitting and manifold fabrication, custom valve actuation, and special elastomer or material options. Big Brand offers water pressure gauges in a vareity of configurations and pressure ratings. 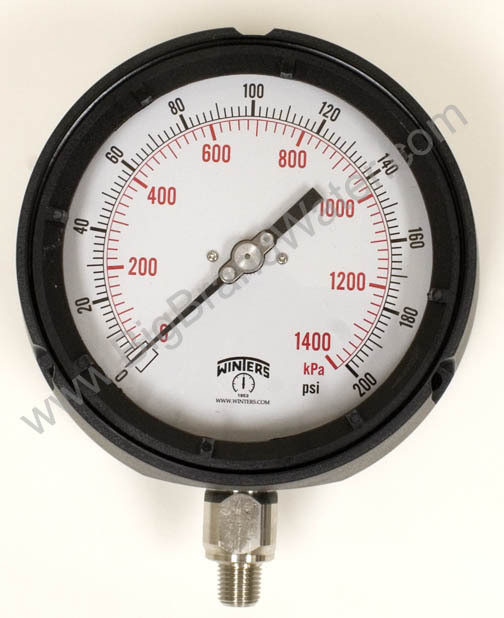 Water pressure gauges can have brass or stainless steel threads with a stainless steel case. 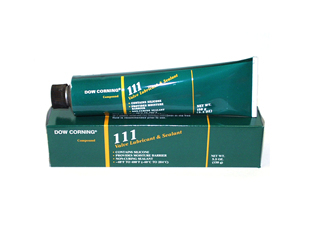 We also offer high precision liquid filled gauges in addition to economy models. We carry top brand names including Ashcroft gauges and Wika gauges and can custom configure your water pressure gauge for all types of industrial applications. We have pressure gauges in 1/4" and 1/2" male pipe thread primarily for convenience. Filter housings tend to have 1/4" female thread for 1/4" male pressure gauges. If you want to install gauges on a 1" or larger piping system often a Tee fitting that reduces to 1/4" is not available but 1/2" is common. We have many customers who wonder why their gauges are ruined in a few months. Many liquids including high purity water, sea water, solvents and chemicals will destroy pressure gauges. This is why we offer pressure gauge guards. 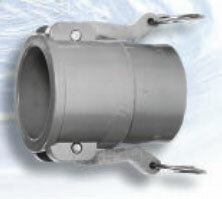 The gauge gaurd has a diaphram inside that allows the gauge the read pressure while remaining separated from the fluid. Don't let your investment in high quality gauges go to waste by not installing the proper gauge guard. Static Mixers are used to vigorously blend chemicals with incoming water.